The Enterprise Service Portal BSNL ERP provide various services to employees of all designations in Government owned 100% telecom company through SAP ERP BSNL ESS portal to manage the Medical claims, Insurance services like Group Savings Linked Insurance (GSLI) and Term Insurance, GPF claims, Various Leave rules like Child care leave, and to check the pay information, retirement details, income tax and the deductions provided under various IT sections like 80C, 80D, 80E and 80G. The IDA rates of BSNL employees may increase again above 3% as per the consumer price index numbers of January 2019, and the company BSNL settles all the anomalies of revised pay scales related of Non Executive employees recorded in ERP portal or recruited from 01.01.2007 to 07.05.2010 and issued the orders for the same on 08.01.2019. Just follow the below for everything on BSNL ERP employee portal at eportal.erp.bsnl.co.in and more updates about employee new Pay Scales, salary benefits like CDA, IDA rates and new services available at employee self service portal. In some situations, you can find the SAP netweaver portal login page errors in first page or inside pages of login, At that time, you can find the solutions at this ERP portal services about how to solve ERP login page issues and even inside pages of ERP portal. The new BSNL employee portal to login and manage the employee self services through online login is called BSNL ERP Portal or ESS employee portal, and this new designed login portal or is the updated version of previous BSNL HRMS portal myhr.bsnl.co.in working on SAP technology which is well known for Enterprise Resource Planning which also called as SAP ERP portal. An employee of Bharat Sanchar Nigam Limited who recruits directly or through compassionate grounds is eligible to use BSNL ERP Login eportal services to process their individual claims and to update their personal information and to check the Pay Information, Leave records as per the various notification issued for different kinds of leave rules to avail child care leave or other and more. After successful training, the official has been posted in Secondary Switching Area / Business Service area, then the BSNL employee will allot a HR Number through ERP portal on creating the pay roll service, from that date the user can use ERP login at eportal.erp.bsnl.co.in to access the employee self care services with the newly created password. 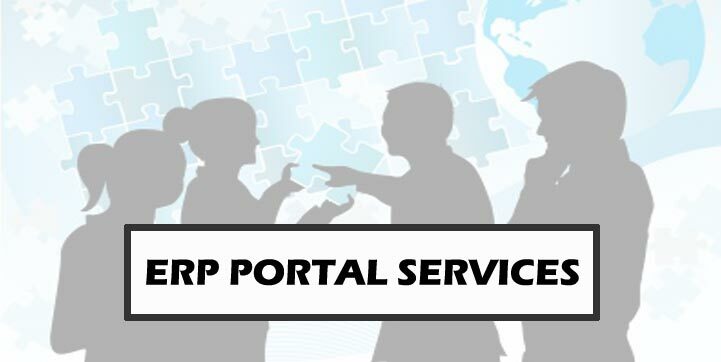 In some cases, ESS portal user locked to use ERP login services due to multiple attempts tried with wrong password on same or various browsers, At that time, you can reset ERP login details on necessary approach to concerned. Check the details about how to unlock or reset ERP login details at eportal.erp.bsnl.co.in to revoke the services of ERP. If the user required old salary statements of BSNL, even for one year old can also now have a chance to download BSNL salary slip from e Payroll in Pdf format showing all deductions, savings and income through BSNL HR login or through concerned AO Claims login at ERP Portal. When an employee transfer to some other circle are other SSA can also use the same ERP BSNL employee login to access all the pay information and other details in that circle too with out any change in login details. This BSNL ERP portal salary slip download service is one of the major requirement for every employee of BSNL to print the salary statement to apply for Credit card and to process any personal loan or housing loans etc.. There are two types of Provident Fund’s available in BSNL ERP i.e. General Provident Fund applicable for the employees who are recruited before the formation of Public Sector Undertaking Bharat Sanchar Nigam Limited, and the second one is Employees Provident Fund applicable for the direct recruited employees after 01.10.2000 and also find the employees who are not covered under EPF scheme even after incorporation of BSNL. Hee, you can check about the subscription to GPF in respect of temporary servants and permanent employees, minimum and maximum contribution in the GPF account as per the New GPF Rules of BSNL, and how to place BSNL GPF withdrawal request in BSNL ERP Portal, when it leads to rejection, How much amount can a Government employee has to withdraw from his GPF account, how to submit GPF nomination and what is the GPF Interest rate applicable for BSNL employee. BSNL employee can also check, What are the available Loans or Advances, and the new eligibility to sanction the loan and Conditions on Recoveries of GPF Advance, how to download and print GPF slips from their account in online at eportal.erp.bsnl.co.in and how you rectify the error in downloading the GPF statement online, so check the latest BSNL GPF rules and updated GPF interest rates applicable for all the employees in the organization. Employees under EPF can know the complete details about EPF eligibility to EPF Pension amount in ERP portal services, If you check the below topics, a BSNL employee can know how to proceed for claims and how to subscribe for highest amount in EPF and how to withdraw EPF and how to complain against EPFO ? where to download EPF slips and how to download EPF statement from BSNL ERP Portal and what are the contributions for EPF and also find whether the deducted amount of BSNL employee salary remitted to EPF UAN account or not, and on which dates the deducted fund is remitted into employee EPF account, so check all the details of BSNL employee EPF to proceed on various claims and new orders on EPF Pension scheme allowing the benefit of pension on higher salary for EPFO members. There are two kinds of Insurance services available at ERP portal, the first one Group Savings Linked Insurance Scheme (GSLIS) and the second one is the Term Insurance, which is newly introduced for 50 Lacs available only in ERP login. All the employees of BSNL from top to bottom level are covered under GSLIS as mandatory, but under BSNL employee Term Insurance, only the executive employees are covered in first phase with an online option asked through pop up for LIC term insurance policy subscription in employee ESS login for BSNL ERP portal. Now all the employees can submit outdoor medical claims through online application available at BSNL ERP, and this service is available through employee self service login only at eportal.erp.bsnl.co.in. You can submit the BSNL medical claims by submitting the OP bills, medical or scan bill / reports along with print out generated from ERP ESS portal to process the cases for early payment reimbursement, where the incomplete details will leads to rejection of BSNL employee medical bills. In this section, you can find the ERP help desk email addresses and ERP customer care number, what are the web settings for ERP portal and who are allowed to access the BSNL ERP helpdesk website, and along with that, every employee can download BSNL application forms from this portal which is required to process the Pension, medical claims, TA bills etc.. There are many sections under Income Tax Act to be followed for every individual and employees of BSNL, but some of the provisions of the Income Tax Act will provide the tax deduction with various sections (Section 80C, 80CCC, 80CCD, 80CCD 1, 80CCD 1B, 80CCD 2, 80CCF, 80CCG, 80D, 80DD, 80DDB, 80E, 80EE, 80GG, 80TTA, 80G) to reduce the tax on income and payments of the employee or individual, where each section of income tax act will provide different provisions, so all the employees must be aware all about Income Tax Section 80 deduction rules to record the income and payments in IT returns in this financial year. There are various options to reduce the income tax on employee salary under various sections which allow income tax exemption towards investments of different incomes and payments for Medical, Insurance, Provident Fund, NSC bonds, Tuition Fees as per the benefits offered in the Union budget, where an employee can avail all the benefits through a clear idea on income tax exemption rules. If a user locked in ERP, then there is no chance for user to reset the same like Gmail with additional questions, if the company introduces the option in the same BSNL ESS portal with extra security, employees are more benefited. In near future, the company introduces all the required options for user in SAP ESS portal as and when required on security, until then please wait and continue with existing ERP services.